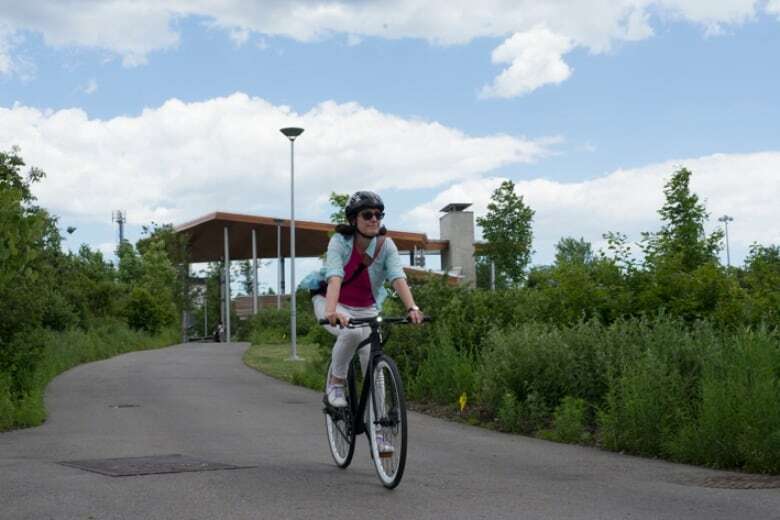 Are connected bikes key to improving urban planning? Could data from connected bikes could help planners design more cyclist-friendly cities? If you live in a city like Toronto, you know how frustrating it can be to get around by bicycle, especially in the downtown core. And it's an issue that urban planners across the world are trying to address: how to make their cities more more bike-friendly and less scary for potential cyclists, so fewer people will drive cars, and there will be less traffic congestion -- which leads to a more environmentally sustainable city. But in order to build bike lanes in the places that make the most sense, planners need data. Data about where cyclists ride, how fast they go, and when they ride. And that data can be difficult to acquire. These days, there are apps for smartphones that track this information, and some make this data available to cities. But that is limited to a narrow cross-section of cyclists: those who can afford smartphones, and are willing to put the effort (and bandwidth) into manually activating the tracking apps. 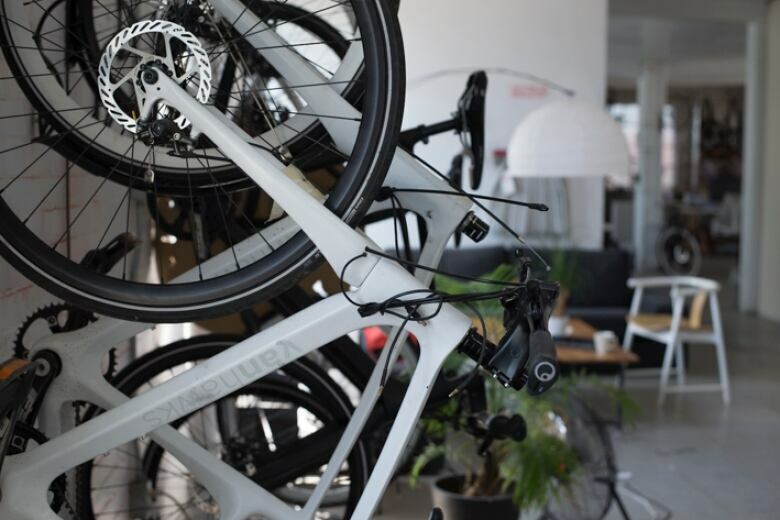 So what if you built a bike that already had the built-in ability to collect and send that data? And could give you turn-by-turn-directions as well? And even track it if it's stolen? 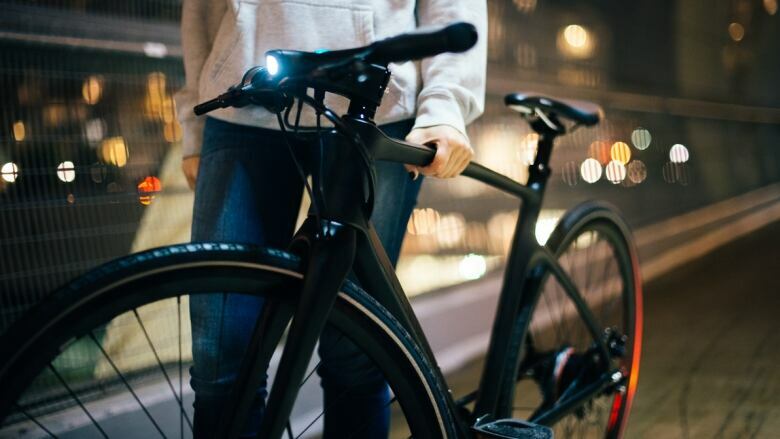 That's exactly what the Toronto startup Vanhawks, whose "Valour" bike, now in production thanks to a very successful Kickstarter campaign, hopes to achieve. But it goes beyond that, says David Byer, the company's community manager. The carbon-fibre-built Valour will also use sonar to tell if a car (or another cyclist) is getting too close for comfort. It will then make the handlebars vibrate, letting the rider know of imminent danger. David also says they are hoping that down the road the bike will send data to the city as it passes through various wifi networks, to help planners understand the routes and needs of cyclists. Diego Canales, who works to make cities more bike-friendly at the W.R.I Ross Center for Sustainable Cities, in Washington DC, agrees that this type of technology is necessary to build more efficient transportation networks for bicycles and cars. A number of cities, including Toronto, are using an open-source app that riders can use to track their commutes and then upload the information directly to municipal servers. But ultimately, Diego says, cyclists will be able to tell planners about everything from the best routes, to traffic delays, to even potholes on the road.